First flew on the 24th May 1956. Purchased by Eagle Airways (Bermuda) Ltd as VR-BBL from Cubanan (ex CU-T604) in April 1961. 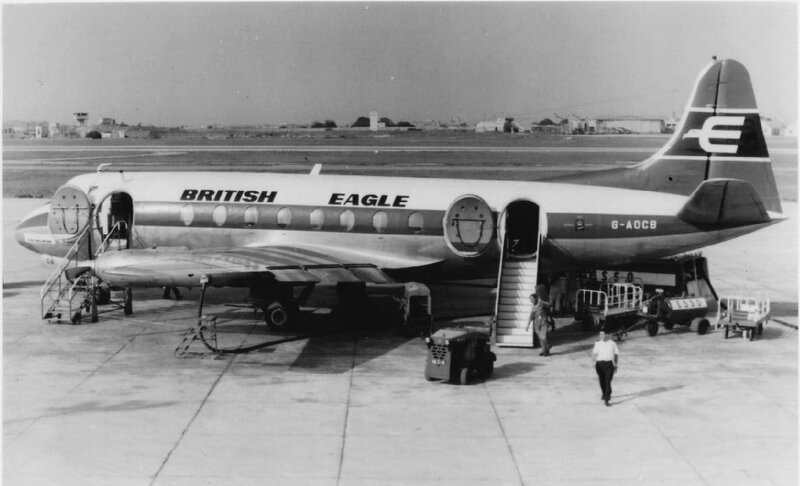 Transferred to Cunard Eagle Airways Ltd as G-AOCB on the 19th September 1962 and then transferred to British Eagle International Airlines Ltd in September 1963. Sold to Invicta Airways in February 1968 and managed by British Midland Airways until it was withdrawn. "City of Edinburgh" later swapped with G-AOCC to become "City of Belfast"
It was sold to Invicta Airways in November 1967 and managed by British Midland Airways until it was withdrawn from use at East Midland Airport in October 1969 and broken up in May 1970.